Multi tasking gone mad. Clean, iron, wash and tattoo. 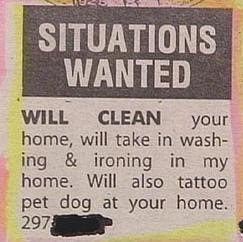 Why would i want my dog tattooed?